I am a Certified John Maxwell Leadership Coach, experienced Marketing Communication strategist, trainer and speaker. I have a real passion for helping my clients learn how to craft their expertise into a compelling presentation, convey their passion, connect with their audience and lead with the influence of strong relationships. I provide training as a KeyNote Speaker, Break Out Session Facilitator, Small Group or Corporate Group Trainer, Group Coach, One to One Coach and Long term personal mentor. Do you experience the “Imposter Syndrome” in your business and leadership? Do you experience the impact of “attitude contagion” in your workplace? Do you find yourself doing the work you hired others for because communication is troublesome? I can help you garner growth and support from internal and external team players. Are you struggling with how to present your products, services, or ideas one on one or in front of a large crowd? I can help you gain and keep the attention of any size crowd in seconds. Are you struggling with personal leadership concerns? Do you need an outside confidential ear? I offer one to one Leadership Coaching for any and all areas of life which hinder effective ministry. After serving in the US Air Force as a Fire Fighter, Loren spent the next 20 years in advertising sales, corporate marketing communications and media serving, political candidates, start up companies and Fortune 50 Companies like; Winning Strategies, Verizon, Jobs.com and Faith & Family Magazine. Loren has trained leaders from Brazil, Central America, Ghana and The Congo and frequently trains Teachers and Pastors for Gateway Church, The Kings University, and The Entrepreneurial Leadership at Brookhaven College. He is a frequent guest on radio and television programs including “Time With Theresa”, “Matters of the Heart”, “Behind the Mask” and “Addiction Free TV”. Live A More Ex ellen's Life – Powerful Life Lessons that are no longer taught in school. 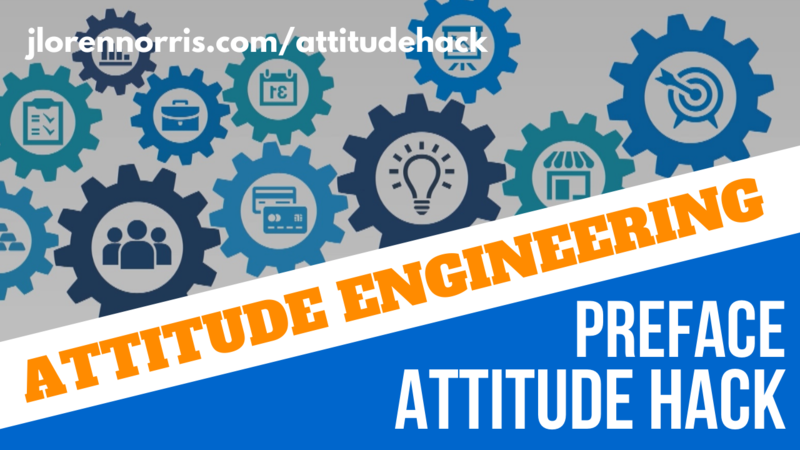 Attitude Hack – Learn to identify, lead and recreate, team attitudes. Creating An Insuperable Vision – Visceral and emotionally driven Vision Development Course. Learn to R.O.A.R Communication – Master Four Basic Requirements of Excellent Communication to build know, like and trust. Learn to R.O.A.R Leadership - This leadership program has been taught all over the world to State PTA organizations, government leaders and corporate leaders. One to one coaching 3-10 hours per month. All individual professional Coaching and Mentoring programs require 3 month minimum enrollment to start. Single session coaching/ mentoring is $325/ hour.